Before becoming a freelance artist, Linda started her career as a greeting card designer and illustrator with the famous Andrew Valentines of Dundee. She now lives near Dundee with her family. 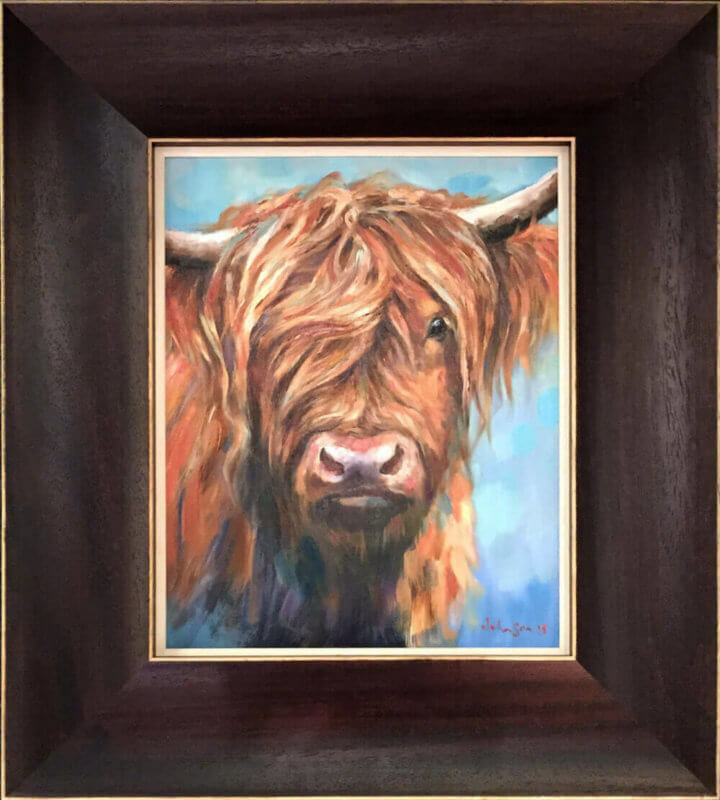 Linda specialises in portraiture and her love of animals can be clearly seen in her work. She paints mainly in oils but also enjoys drawing in pencil and pastel crayon. The attention she gives to both the detail and expression of her subjects leave the viewer with no doubt about the quality and depth pf her paintings. Examples of Linda’s work are found in numerous locations throughout Tayside and beyond and her ever-growing reputation is sure to keep her in high demand. This entry was posted in Meet The Artist. Bookmark the permalink.